OM VISA Consultancy - Global Immigration, Students, Visitor, Business & Work VISA Consultants: Apply in California State University, Sacramento,US and make your carrier bright with the help of Om International the leading visa consultancy. 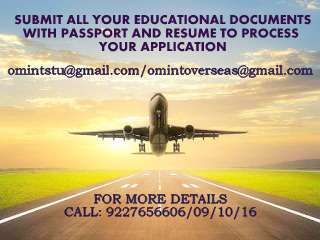 Apply in California State University, Sacramento,US and make your carrier bright with the help of Om International the leading visa consultancy. California State University, Sacramento, founded in 1947 as Sacramento State College, is a public comprehensive university in the city of Sacramento, the capital city of the U.S. state of California. It is the 11th oldest school & 6th largest in the 23-campus California State University system. Sacramento State is organized into seven academic colleges and a college of continuing education. The university is also a member of the consortium that operates Moss Landing Marine Laboratories, offering curricula in marine sciences. In keeping with its proximity to a burgeoning electronics industry, the university is developing expanded applications of technology to learn through computerized and televised instruction over a wide area of Northern California. The university is nationally and internationally accredited in specific specialized programs including the Association to Advance Collegiate Schools of Business (AACSB) for Business programs, the Academy of Nutrition and Dietetics for Didactic programs in Dietetics, the American Physical Therapy Association for professional programs in Physical Therapy Administration, the American Speech-Language-Hearing Association for programs in Audiology and Speech-Language Pathology, the Commission on Collegiate Nursing Education for various Nursing (CNURED) programs, the National Association of Schools of Art and Design, the National Association of Schools of Music, and the National Association of Schools of Theatre. Labels: study in california state university, study in US, US student visa.